Abbie IT Mart Private Limited closed a 1-year partnership deal with Mapsko, one of the leading real estate organization in India. Mapsko Group has been known for developing exemplified projects, offering the highest quality services to its clients over the years. This partnership will allow Mapsko to expand its marketing solution by inviting new clients and strong advertising partners. The collaboration will provide Mapsko Group a digital advertising platform that has the capability of transforming the face of modern marketing. The platforms are likely to attract big advertising agencies and influencers who are on a constant search for the latest innovation in digital technology. Because, outdoor digital advertising is gaining huge momentum in the Indian marketplace, which is why Abbie IT Mart is determined to cover as much of the areas as possible in the coming few months. 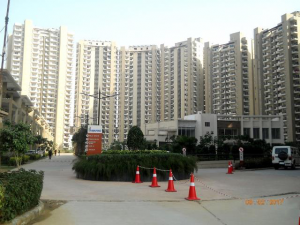 Installations of Billion Media has already started taking places in Mapsko Group’s managed properties like Mapsko Casa Bella Gurgaon, Mapsko Royale Ville Gurgaon, and Mapsko Paradise Gurgaon. This digital marketing initiative has huge potentials of bringing about great benefits not just for the partnering organizations but also for advertising agencies. Lift media platform is an increasingly cost-efficient mode of advertisement with a distinct feature of attracting the interests of the audience. 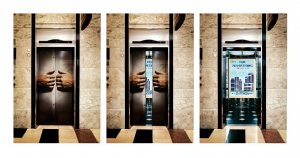 Unlike traditional advertising methods, digital lift advertisement campaigns are targeted to a particular segment of the consumer, hence, Mapsko Group is hopeful that its business will expand exponentially in the coming months.